All of our rooms have a locker, a shelf and a reading light for each guest as well as a writing table and a ceiling fan. Each guest floor has a common area with table and seating, sea views and displays of local antiques and art. It's open for breakfast and dinner. Guests can dine in our common dining room or outdoors on our patio. THE SHOWERS NOW ARE FREE, no more tokens to ask There's lockout from 10am to 1pm to facilitate cleaning. Hostel membership is not required and there is no age limit. By train: take tunnel to the village center, Then, turn right and walk up the main street for 200 meters to the church square. Turn left , The hostel is the large green building behind the church. By car: From highway A15 (Parma-La Spezia) or A12 (Genova -Livorno), exit at La Spezia-Santo Stefano toll gate. Follow signs for La Spezia, then follow signs for the Cinque Terre (SP370), then to Manarola. Cars are not allowed to park in the village or in the designated resident parking zone. 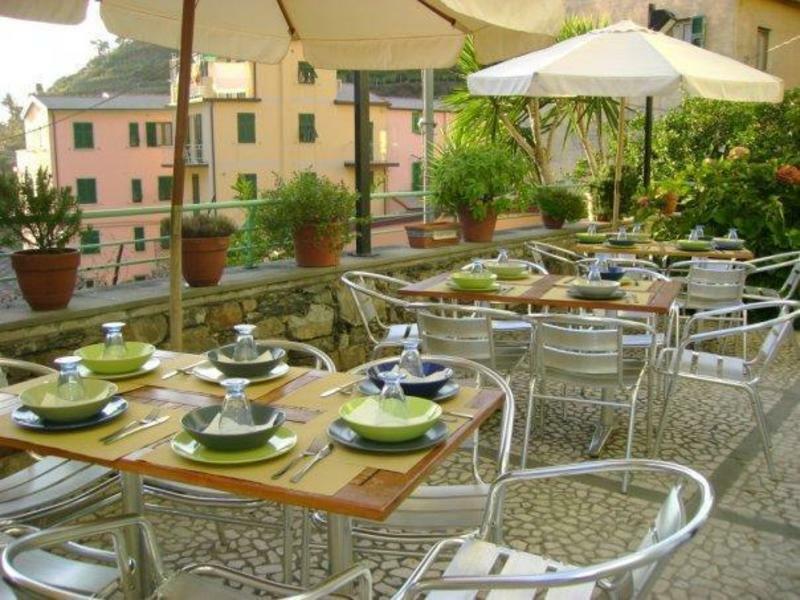 Free and payment parking areas are located just outside of Manarola. The hostel is about 300 meters from the parking areas.